„Different than expected” is the title of his autobiography. It could not have been more to the point. Stefan Kretzschmar, German handball star comes with the notoriety of an „enfant terrible”. More than 20 tattoos, numerous piercings, black, peroxide blond or multi-coloured hair, short or long, and a bold fashion style. “Kretzsche” – as people call him – visibly worked on his reputation as a bully boy throughout his 14-year long career as a professional handball player. But surprise, surprise! He is totally different. 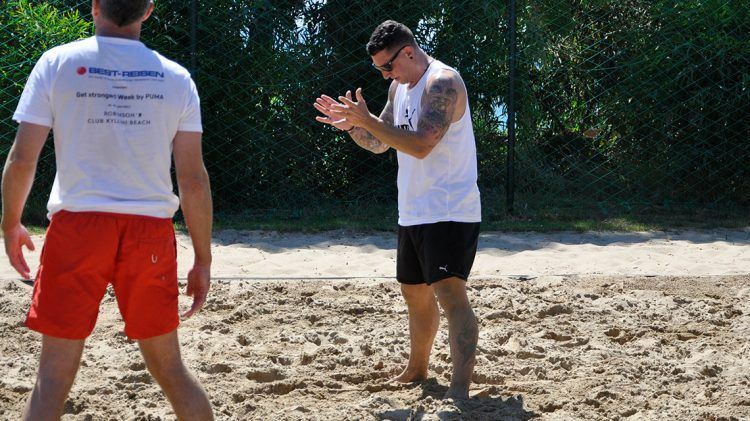 In June, the 44-year old PUMA ambassador resided at holiday resort ROBINSON Club Kyllini Beach in Greece, where he held daily beach volleyball sessions during the “Get Stronger Week by PUMA” run by Best Reisen. While his tattooed body is still testament of seemingly crazy times, everything else seems to have settled down. His hair is a natural brown and ordinarily cut, his attire regular leisure. But more importantly: His personality disappoints those who judge him by his former looks. Stefan is genuinely nice and a great sportsman. Watching him play for fun ten years after he ended his professional career in 2007, you get a slight glimpse of where his success of 821 goals in 218 international games came from: Kretzsche is hugely ambitious, enthusiastic and a fighter. Fully determined, he dives after each ball and never loses his humour. “You’re still with us? Ready when you are!“, he shouts over to a guy who seems to have been day-dreaming. 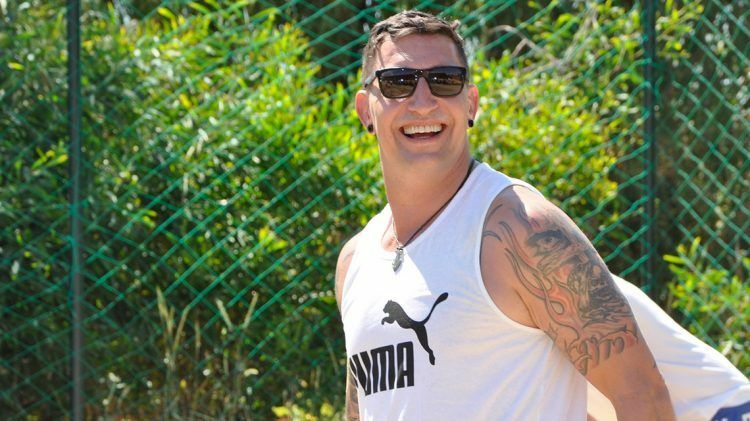 … as everybody calls him, was born on 17 February 1973 in Leipzig, East Germany. He started playing handball at the age of seven and made his first international match against Switzerland in 1993. He was Germany’s “Handballer of the Year” twice and part of the world selection “All Star Team”. Until he ended his career in 2007, he scored 821 goals in 218 international matches. Today, he works as a moderator for Sky TV. ROBINSON is a German premium resort holiday provider. The resort Kyllini Beach in Greece is located in the coastal landscape of the Western Peloponnese. The clubs are reknown for their comprehensive programs that offer trend sports, wellness and workouts. Best Reisen is a German travel agency cooperation which organized the "Get stronger week by PUMA".